Joe and I started direct marketing grassfed beef to family and friends in 1992 after they dined at our home and asked, “Where can we buy this meat?” We worked with our local abattoir and butcher and within five years had developed a loyal following that came back year after year. They bought freezers to store a quarter cow and asked their mothers for Grandma’s Sunday roast recipe as they learned to use the whole cow. They brought their children to our Annual Field Day where Joe showed them how a border collie can gather a 100 cows and why perennial grasses and wildflowers can thrive where livestock have grazed. They liked that when they had a question, they could call us and we would pick up our own phone (or call them back if we weren’t in the office, which is often when you work in agriculture.) Twenty-two years later, we are still direct marketing and have a network of more than 900 members throughout California. When people from New York or Colorado call to ask if we ship, we direct them to a website that will help them find a local grassfed beef producer. Innovation comes in many forms, often the result of an annoyed customer who says to herself: This should be easier! The old model is broken. Food based on cheap labor to grow and pack it, federally subsidized, imported water to grow it, plastic packaging to ship it, and $60-a-barrel oil to distribute it needs an alternative. Local networks are filling the space in innovative ways. Industrial, multinational food companies’ idea of a mobile strategy is making their websites fit on an iPhone screen. “New ideas” echo the 1950s: a coupon for participating in a survey or sweepstakes where you can win a shopping cart full of groceries, worth mere pennies to their bottom lines. Meanwhile, local farmers are turning to a new model, one that makes it easier and more affordable to put good food on the table and actually adds value to consumers’ wallets and health. They’re using intuitive, interactive apps like Good Eggs, Whole Share and Farmigo that allow customers to add an extra dozen cage-free eggs to next Tuesday’s delivery. Working farm-centric communities, dubbed Agritopia, are replacing gated suburbs for nature and wildlife preserves as people realize the scarcity of water and opt for community gardens over golf courses. Marketing campaigns sponsored by local food advocacy groups such as Community Alliance with Family Farmers’ (CAFF) “Buy Fresh Buy Local” and the USDA’s “Know Your Farmer” raise awareness about the choices consumers have over their food purchases. 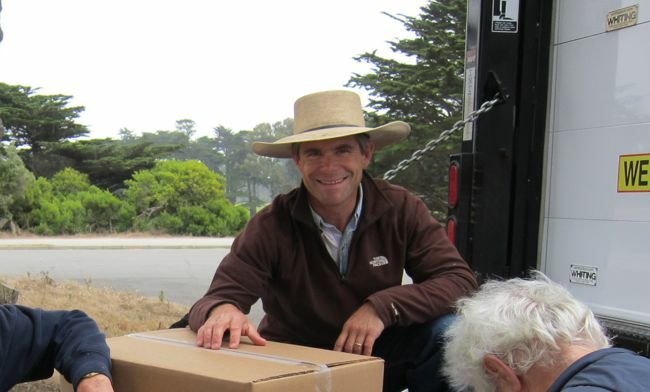 Joe Morris delivers boxes of Morris Grassfed Beef at Lake Merced in San Francisco. As people become more aware of their own decision-making power when it comes to food, the big guys are being asked about paying employees a living wage, challenged over inputs like pink slime and azodicarbonamide, aka the ‘yoga mat compound,’ or how many miles the spring mix traveled to Michigan. Consumers want freshness. They also support organic, grassfed, local, no GMOs or antibiotics, and humane treatment of workers and animals. In the new model, you log on to your desktop or mobile device and order your favorite seasonal fruits, vegetables, meat and dairy to be delivered to your door (or picked up at a drop-off location) in a recycled cardboard box by your friend and neighbor. It’s either already paid for via your online account, or your delivery person swipes your credit card via Square and you’re on your way. The extra 50 cents per pound for meat employs your co-worker’s teenager, or better yet your own, who works for the local farm or butcher. That’s a win-win. Ironically, the new model gets back to basics. All the labels that have emerged in the food industry can get exhausting. What ever happened to just going shopping? Does my chicken thigh really need to be certified by five organizations? 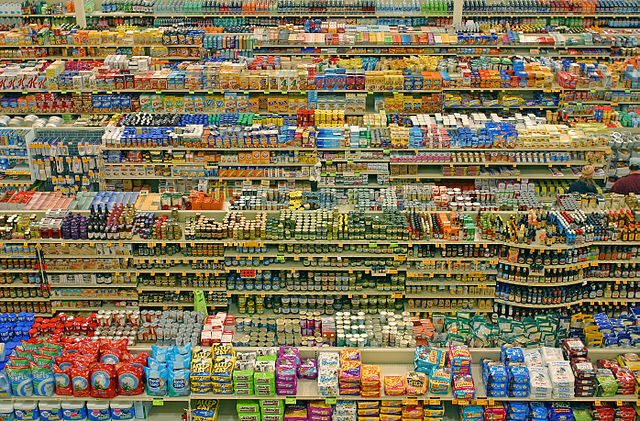 The distance and anonymity of multi-national food companies has created another layer between people and their food, a whole new industry of third-party certification officers. If you don’t know who grows your food, you can outsource your relationship with the farmer to the USDA’s organic program or the American Humane Association’s animal welfare program who ensure that standards are being met. In the new model, your food is first person certified. If you want to know whether we feed our cattle grain or use sub-therapeutic antibiotics, you pick up the phone and call us. (We’ll tell you we don’t.) I answer texts and e-mails from our members every day. You can also come to our field day where we’ll show you the animals, the land and the people who produce your hamburger. The same goes for farmers who invite children to pick their own pumpkin at Halloween and strawberries in the summer. The discussion among food industry leaders has gone from patting local producers on the head, to saying “there’s room for all of us'” to criticizing local as less efficient and unsustainable. Common battle cries are that “We have to feed the world.” and “Our food is cheaper!” But the innovators have shown there are farms and ranches all over the world that can feed their communities (recall pre-WW II?) and consumers don’t mind paying a bit more if it means their dollars strengthen the local economy. As industrial food marketers get more defensive, local food innovators are zooming past, coming up with even easier and cheaper solutions to getting their products on to kitchen tables, including adding a recipe for baked cauliflower in next week’s CSA box to replace that overpriced organic spring mix that’s been sitting in a truck for three days. This is excellent Julie! So glad you are reiterating the “first person certified” concept. I think this is quite newsworthy, actually; ever thought of pitching it to the Mercury News, the Chronicle (or NY Times or others for that matter)? The message is so spot on. THANK you for writing this. I agree — this is a great article, I hope you will publish it far and wide. Can I share it with Slow Food USA?